From Feb. 8 to 26, the Royal Manitoba Theatre Company (RMTC) is honouring the late English author Agatha Christie at the Master Playwright Festival. This year’s edition is the 17th installment of the annual festival, which takes on a selected number of works from a celebrated artist. The Master Playwright Festival provides opportunities for both professional and emerging artists from a variety of organizations and independent theatre companies to produce work under the umbrella of a larger festival. It also provides patrons with an opportunity to thoroughly immerse themselves in the works of a renowned playwright. The first Master Playwright Festival took place in 2001, across eight venues, and featured 15 plays written by Samuel Beckett. Since then, the festival has grown and featured many well-known writers. 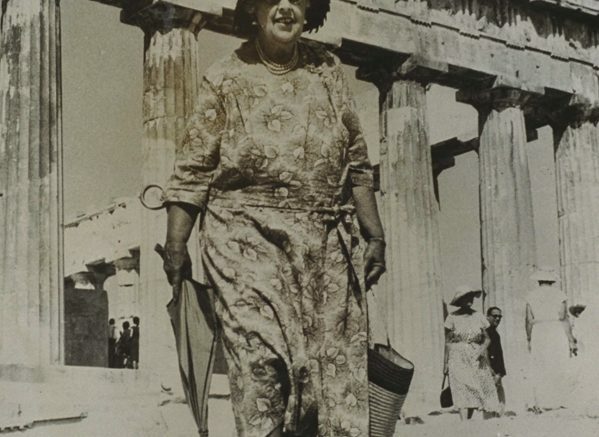 Agatha Christie is one of the world’s best selling novelists, with over 66 detective novels, 150 short stories, and 20 plays in her extensive body of work. One of her most well known and celebrated works is The Mousetrap, and with 26,000 showings, it is the longest continuously running play in history. “We hope to reveal the shining truth about this beloved playwright and her unquestioned mastery of our art form,” said Steven Schipper, the artistic director of the RMTC. Agatha Christie is only the second woman to be honoured by the RMTC Festival and the first mystery writer. The festival will include some of her popular novels such as And Then There Were None, showing at the Winnipeg Mennonite Theatre, and Murder on the Orient Express, showing at the Dalnavert Museum. “Audiences love plays about detectives and the mysteries they solve, but they are devilishly difficult to write. Christie had to lay out clues that somehow keep us from guessing the identity of the murderer, yet make the climactic revelation seem obvious in retrospect. The characters must be sympathetic yet suspicious,” said Schipper. The festival features 15 plays on stages at different local theatres, and includes free lectures. Amongst the several theatre companies partaking in the festival are the Dramatic Theatre, the Winnipeg Mennonite Theatre, and the Tara Players. Erin Meagan Schwartz, the producer of the modern adaptation of The Hollow, which has all its six shows sold out at the Rudolf Rocker Cultural Centre, found it challenging yet fulfilling to translate Christie’s work into a modern perspective along with her talented compilation of local performers and creators. The cast and crew include University of Manitoba student Elena Howard-Scott, who will be playing a lead role in the performance, and directors Frances Koncan, an Anishinaabe-Slovenian writer and director, and Angelica Schwartz, a theatre production graduate from Langara College’s Studio 58. “I find Agatha Christie’s work interesting, especially The Hollow, because of the way she writes women in the show. They are often very cunning and complex behind the veneer of poise,” said Schwartz. The Tara Players Theatre Company will be putting on a production of Love from a Stranger, an adaptation of the 1924 Christie mystery novel Philomel Cottage. Production teams involved in the festival have expressed their appreciation for the festival and delight over honouring Christie at this year’s festival. “We are always so pleased to be a part of the RMTC Master Playwright Festival as it really helps us to reach new audiences and support some of the best writers in the industry,” said Danielle Savage, the general manager of the Tara Players. As one of the venues for the festival, the Dalnavert Museum has embraced the work of Christie as inspiration for a detective- and mystery-themed month of programming as well, which can be found on their website. With over a week left in the festival, there is still a chance to catch some of the amazing works that are being highlighted by talented performers at various venues across the city.